This evening explores the work of the early 20th Century icon Erik Satie, who was known for merging humor with a classical sensibility in a way that was both original and avant garde for his time, and which proved to be an influence for the minimalist movement and the Theatre of the Absurd. 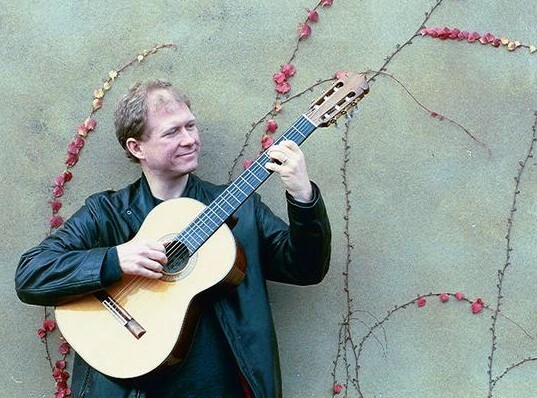 Mark Hilliard Wilson’s offerings tonight include works by Satie that he has adapted for guitar, as well as some original compositions inspired by the eccentric French composer. Gary Zinter and Nicole Truesdell bring to theatrical life Satie’s Sports et Divertissements, a series of short works for piano that are played to monologs that explore the droll world of the French upper class. Beginning with what Satie has titled an “Unsavory Chorale” (“Chorale Inappétissant”), the series of pieces takes on pastimes the bored rich: yachting, tennis, golf, and more. Presented by the Fisher Ensemble.